Have difficult questions about the end times? These sixteen short teaching videos provide the answers! Each dynamic teaching ranges from 5-8 minutes in length, making these bite size lessons an excellent resource as an introduction to self and group Bible studies. 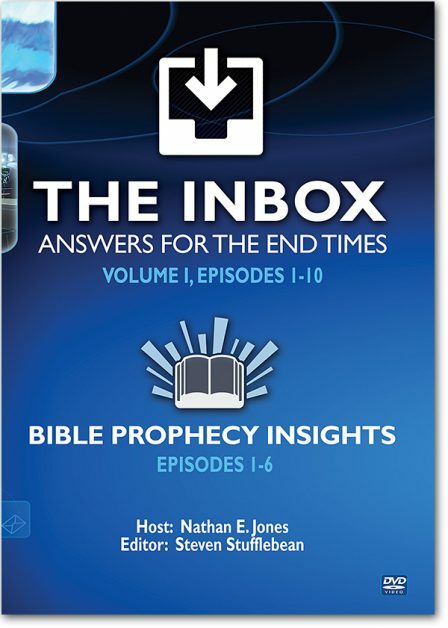 As a bonus the Inbox DVD also contains six “Bible Prophecy Insights” videos giving you an awesome insight into God’s prophetic Word in just one minute each. Watch uploaded videos from christ-in-prophecy on FREE video sharing website GodTube.com! You can search and watch family safe Christian, music, inspirational, cute, funny, comedy, educational and Spanish videos on GodTube.com! Do you have some great video clips you would like to share? It's easy, simply create a FREE account, then start uploading videos to your own personalized video channel!